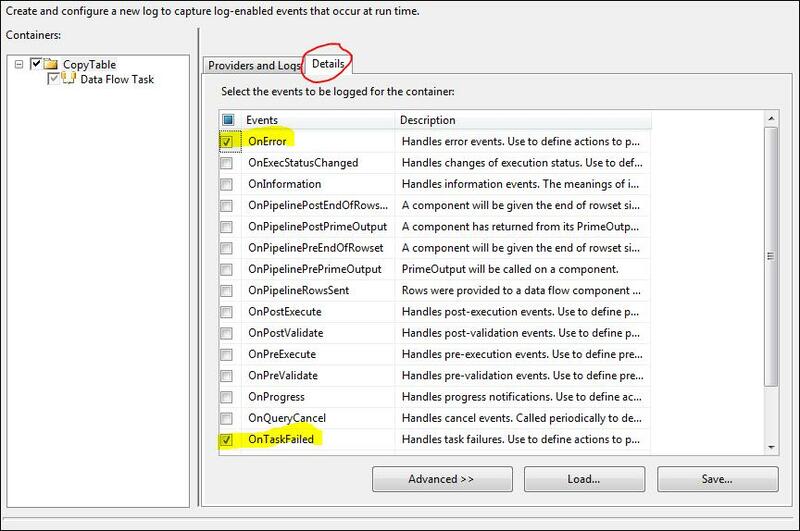 By default whenever package fails, error will be logged in Event viewer. But still, we can maintain the complete execution history in customized way. In Text File Log provider, you have specify text file. And it will start logging in that text file. It will append the text at every time. 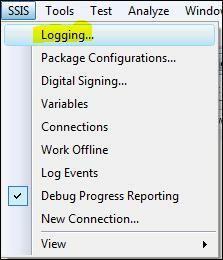 In SQL Server Log provider, it will create a table called “ssislog”. And it will start inserting records. Mainly, we are intersted in particular error. So we can do following settings. Ssislog table will have records like this.